James Edition (formerly known as JamesList) offers not only the largest selection of rare cars, high-end homes, yachts, and jets but also insightful stories regarding these segments of the market. Founded in 2008, the project was initially known as a Jameslist but was renamed after several years. Do you want to know more about how to buy assets smartly, how to turn your dream purchase into a long-term investment? James Edition (ex-JamesList) cars and real estate insiders are to tell you more about how to make your money work for you in any way possible. On the other hand, we’re here to answer your questions regarding any case of handling your assets. How to deliver the James Edition (ex-JamesList) car from one continent to another, to rent out a house to reduce taxes and where to invest if you’re thinking about buying your next property? James Edition (ex-JamesList) is ready to cover all these questions with the help of our real estate and car experts. Hope that our content will help us to build trust and expertise within the blog. Also, within the blog, we have an ability to showcase our items and assets (i.e James edition/ex-JamesList cars, homes, yachts, and jets) in the best way possible. We can use diverse materials such as cars and homes pictures and descriptions from the dealers worldwide. We can give users a unique opportunity to discover real luxury assets by themselves. Take a look at the recent content pieces. You can view James Edition car article, such as this luxury saloons review or the feature Asont Martin car, interview with an ex-driver or the car auction review. Also, there are a lot of features dedicated to the real estate section – just check out these articles about Marbella, Majorca and Menorca or Ibiza. If waiting a year for your new Rolls-Royce isn’t your thing, it may be worth looking into a Provenance Pre-Owned - and in a few weeks, you could be driving your Phantom. …and two models that aren't. We've drawn up a list of the top Ferrari classic cars and supercars with price tags ranging from $70,000. Two islands – two types of buyers. 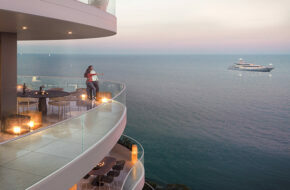 Not only the Golden Mile - the classic addresses are joined by increasingly fashionable areas. 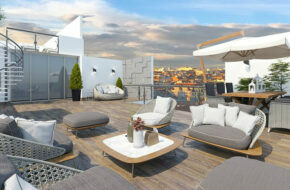 Barcelona used to be the “go-to” city for Spanish real estate investment. Looks like this is no longer the case as property prices in Madrid have skyrocketed by 10% in 2018. And top 5 properties to be showcased at the largest exhibition dedicated to high-end real estate for individual investors. 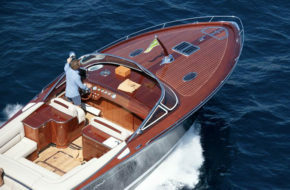 The J Craft Torpedo is perfect both as the ultimate day boat for the French Riviera – and a megayacht tender. Second Passport Trend: Best Countries for Dual Nationality. 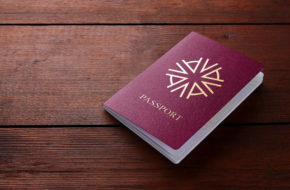 Why you might want to consider a dual nationality or top reasons behind the growing popularity of obtaining second citizenship among the world’s most powerful passport holders. 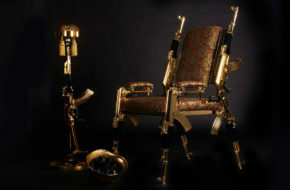 The creator of unique luxury furniture pieces made from Kalashnikov assault rifles tells JamesEdition why people are buying his chairs for their living rooms. 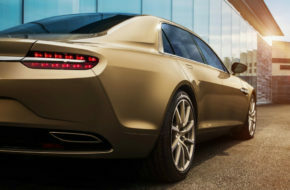 Disappearing species, or why you should buy a speedy and luxurious V/W-12 sedan in 2019.